The Causes Of Adult Aquired FlatFoot ? Posted on March 23, 2015 | Comments Off on The Causes Of Adult Aquired FlatFoot ? 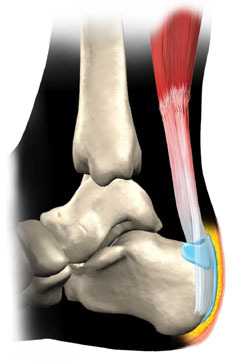 Chronic posterior tibial tendon insufficiency can result in acquired adult flatfoot deformity. This is a chronic foot condition where the soft-tissues (including the posterior tibial tendon, deltoid and spring ligaments) on the inside aspect of the ankle are subject to repetitive load during walking and standing. Over time these structures may become painful and swollen ultimately failing. When these supporting structures fail the result is a change in the alignment of the foot. This condition is typically associated with a progressive flatfoot deformity. This type of deformity leads to increased strain on the supporting structures on the inside of the ankle and loading through the outer aspect of the ankle and hind-foot. Both the inside and outside of the ankle can become painful resulting significant disability. This condition can often be treated without surgery by strengthening the involved muscles and tendons and by bracing the ankle. When non-operative treatment fails, surgery can improve the alignment replace the injured tendon. Alignment and function can be restored, however, the time to maximal improvement is typically six months but, can take up to a year. Comments Off on The Causes Of Adult Aquired FlatFoot ?